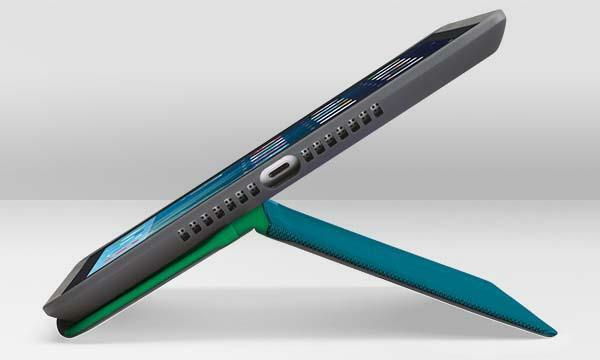 Logitech has released AnyAngle, their latest protective case for iPad Air 2. Want a flexible stand to hold your iPad for comfortable viewing? The iPad Air 2 case may be a nice solution. 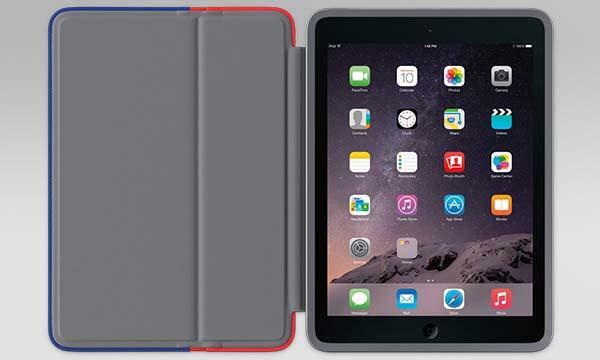 The AnyAngle is a versatile folio styled protective case designed for iPad Air 2. The iPad Air 2 case measures 9.95 x 7.24 x 0.56 inches, weights 12.06 oz, and as we can see from the images, the elegant folio case features a multifunctional front cover that doubles as an adjustable iPad stand. Using its powerful hidden hinge with magnets, the iPad stand steadily holds your iPad Air 2 in landscape mode, and you can freely adjust the angle for optimal viewing or typing experience. Moreover, its durable construction guards your iPad Air 2 from bumps, scratches and weather spills, and all ports and buttons are accessible via custom openings. The AnyAngle iPad Air 2 case comes in 6 gorgeous tones and is priced at $59.99 USD. If you’re interested, jump to Logitech official site for more details or check out the following demo video first.